Dos TorosDos Toros’ test kitchen location in New York City. Leo Kremer and his brother Oliver founded Dos Toros in 2009. The chain has 13 restaurants in NYC and just began expanding in Chicago, with its eye on more cities. On Sixth Avenue in New York City, one of Manhattan’s busiest thoroughfares, there’s a small burrito restaurant just down the block from its biggest competitor – Chipotle Mexican Grill. If you were distracted even for a moment, you could walk right by without even noticing the nondescript facade. That restaurant is Dos Toros. And ever since the micro-chain was founded in New York City eight years ago, it’s amassed a cult following of burrito lovers, spice enthusiasts, and most recently, consumers feeling less-than-appetized by Chipotle’s string of sickness outbreaks. The company has grown quickly, but it won’t be easy to catch Chipotle. The burrito giant has a market cap of around $US9.22 billion, despite losing 35% of its market value since May. 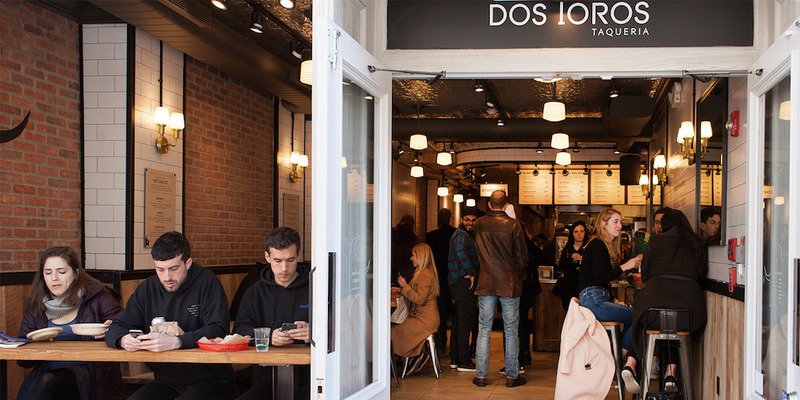 Still, Dos Toros has plenty of ground to gain in the Latin American fast-casual market, an industry worth $US19.8 billion last year, according to market research provider, Euromonitor International. Graham Rapier: How did the idea for Dos Toros come about? How’s business? Leo Kremer: It’s been a wild ride. 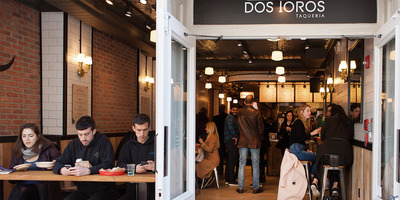 We started Dos Toros eight years ago and opened our first location by Union Square in New York City. The thesis was that we just loved burritos. My brother and I, having grown up in the San Francisco Bay area, felt like you couldn’t get a great burrito in New York City and there was an opportunity to bring it here. We’ve been fortunate to have a great team and great guests, and just piece by piece we’ve figured out how to run a business and scale a little bit. We got to 13 locations a couple months ago, and then opened in Chicago, our first market outside of NYC, in late summer. It’s been a really exciting moment for the business and we’re off to a really good start there. We’re excited. We know so much more than we used to about how to run a great restaurant company but we’re still at the beginning of learning how to be in multiple markets and grow into that next stage. Rapier: Did you have any restaurant or business experience beforehand? How did you get up to speed? Kremer: We were totally flying blind, which I think is really interesting. You just start down the path and start cooking, looking around for locations, and meeting with experienced restaurant contractors, lawyers, accountants, and chefs. It’s just one step at a time. It’s played to our advantage to be outsiders. We were always looking at the experience through the guest lens. We were really expert burrito consumers, so we just used that and said “how do WE want it to look, feel and taste?” We were our own kind of reference point. A lot of the restaurant industry is old-school and almost antagonistic, with founders and teams having this kind of ‘us vs. them’ mentality. We’ve always just tried to be friendly and humanist, treating everyone on our team like an individual. That also comes from really working in the trenches every single day, especially at the beginning and still today. Whenever you’re working in your restaurant, you can’t put yourself on a pedestal – it forces you to connect with your team. 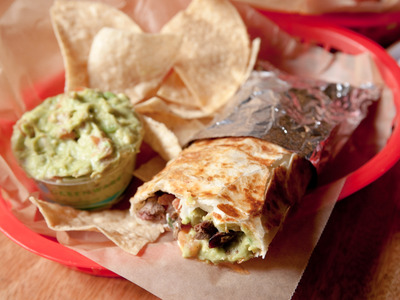 Rapier: What’s the biggest differentiator between Dos Toros and Chipotle? Kremer: We cook everything in house, which creates a large freshness difference and greater authenticity. I think our brand and design is just elevated and more modern. We have the advantage of being smaller and having a more real service, experience, and culture. When you’re smaller, you should use that to your advantage. We’re growing but there are still more than a hundred Chipotles for every Dos Toros. When you’re in one market, [the supply chain] is easier to control. Going to Chicago was a challenge; we spent a lot of time working on where we could get tortillas, making sure the avocados could to be up to spec, and all of that. It was months of leg work. There are plenty of advantages that come with being a big, organised company. But I think coolness and passion and having a super dialed-in team – that’s what’s harder when you’re at their size. I understand why Chipotle is making leadership changes. Hospitality is all about passion: That’s what energizes your team and excites your guests. I’d be concerned they might lose some of that passion. I understand why Chipotle is making leadership changes. Hospitality is all about passion: That’s what energizes your team and excites your guests. I’d be concerned they might lose some of that passion. Rapier: Did you see any bump in customers around Chipotle’s norovirus outbreak this summer or in 2015? Kremer: Even if people weren’t freaked out or turned off by those stories, maybe they became more open minded to trying something else. All it takes is little bit of a bump in the road to change someone’s behaviour. I think it helped us in New York and Chicago, given the challenges Chipotle went through. I’m sure it wasn’t just the case for Dos Toros, but for every comparable, $US10, fast-casual lunch. There are a lot of options in this increasingly competitive market. When you go through something like that, people try out the competition in every kind of cuisine. Everyone’s been even more focused on food safety and we’re doing everything we can in terms of training our team, using a third-party auditor to inspect our locations, our own internal audits, visiting our vendors. The other piece that matters isn’t just checking the boxes but really building it into your culture as something you’re passionate about, so it isn’t just this work you need to do, but a point of pride. We’re experts at food safety, which I hope is pretty common now after the Chipotle news. I think what Chipotle has done over their time in business has been amazing. They pretty much invented fast-casual. What they did with their supply chain and high-quality, naturally raised meats… I think their legacy is really a big deal. What Chipotle has done has been amazing. They pretty much invented fast-casual … I think their legacy is really a big deal. Rapier: What’s the future of this fast-casual model that Chipotle pioneered? Is there still room for you to grow or for new concepts? Kremer: There’s no question that fast-casual will keep growing and there’s always room for the best in class. We think we can be the best in class for that Mexican fast-casual segment. That’s our focus right now and competition is only intensifying. The environment that [Chipotle] kind of grew into early on was a blank canvas in terms of the competitive landscape. Things are never going back to that lack of competition. They will just be in a more challenging environment going forward. Rapier: What’s next for Dos Toros in terms of new menu items or new cities? Kremer: We’re really excited to do something with vegetables, to have a more compelling vegetarian offering. Not salad so much, but really hearty vegetables. A lot of our menu is already vegetarian or vegan, but in terms of that protein-equivalent that’s really filling and goes in the center of your burrito or bowl. I think we can come up with something really delicious.